A quicker (and warmer in the winter) version of my other posted brined chicken, this recipe is one that can truly be whipped up at any time…and oh-my-goodness, it makes a wonderful sandwich! Sent to me by my sister-in-law, but borrowed from Gimme Some Oven, this is another excellent staple to try to always have in your fridge or freezer…and brushing them with butter was definitely the way to go. 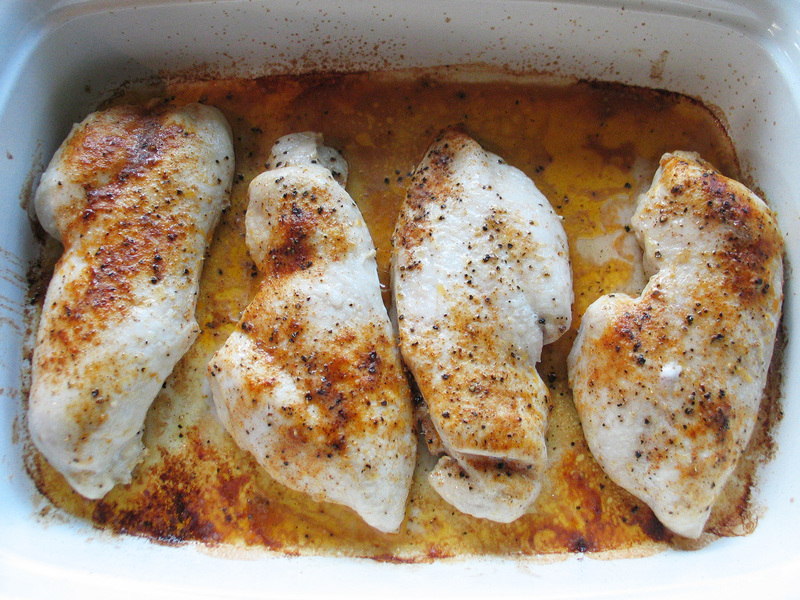 To brine, simply add the chicken breasts to 1 litre of water that has a 1/4 cup of kosher salt dissolved in it, and allow them to soak for 15 minutes – I usually do so in a glass bowl – enjoy! 4 large boneless, skinless chicken breasts, pounded to an even thickness (between 2 sheets of plastic wrap), and brined for 15 minutes. Preheat the oven to 450 and get out a large casserole dish (I used my lasagna pan). Take the prepped breasts out of the brine, give them a quick rinse and then dab them dry with paper towels. Place them in the casserole and brush the butter evenly on both sides. 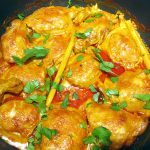 In a small bowl, combine the 4 spices and then sprinkle the mix evenly on both sides of all 4 chicken breasts, then bake for 15 to 18 minutes until an instant thermometer shows a temperature between 160 and 170. Once the chicken is cooked, remove the pan from the oven, cover it in foil and allow it to rest for about 10 minutes. Serve straight away! We enjoyed ours as part of a ‘bowl’ with farro, roasted vegetables and a sprinkling of goat cheese.